Item: AM1052 P-634 - Ornamental lake, Stanley Park, Vancouver, B.C. Item: AM1052 P-38 - Our Friend "Joe", English Bay, Vancouver, B.C. 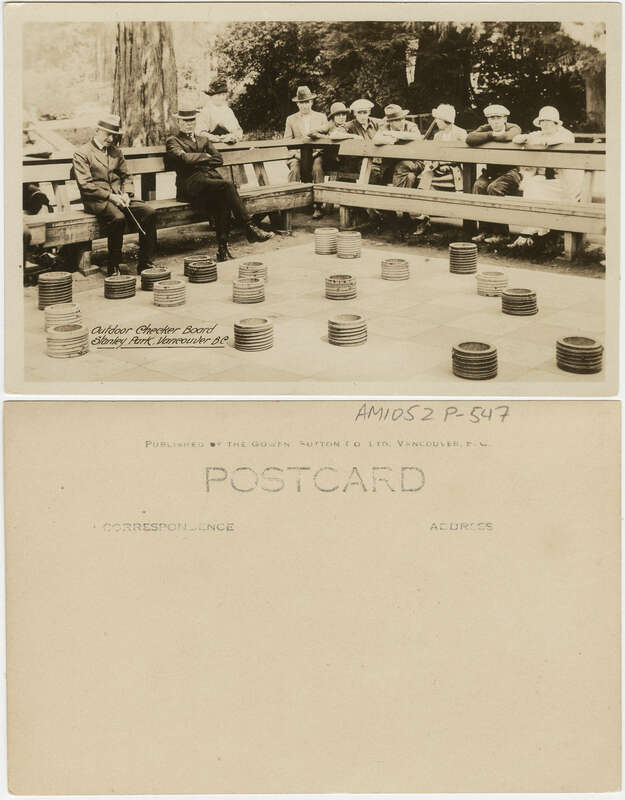 Item: AM1052 P-547 - Outdoor checker board, Stanley Park, Vancouver, B.C. Item: AM1052 P-1166 - Outdoor pool at the Kelowna Aquatic, showing the Aquatic building in the background. Item: AM1052 P-277 - Overlooking Burrard Inlet, Vancouver, B.C. Item: AM1052 P-298 - Overlooking Burrard Inlet, Vancouver, B.C. Item: AM1052 P-297 - Overlooking Coal-Harbor [sic], Vancouver, B.C. Item : AM1052 P-547 - Outdoor checker board, Stanley Park, Vancouver, B.C. Outdoor checker board, Stanley Park, Vancouver, B.C. The Gowen, Sutton Co. Ltd.